I am an Associate Professor of Computer Science at Stony Brook University. I co-direct the Computer Architecture Stony Brook (COMPAS) Lab. Prior to joining Stony Brook, I completed my Ph.D. at Carnegie Mellon University (CMU) under the supervision of Babak Falsafi. While completing my dissertation, I spent several years working remotely from Ecole Polytechnique Fédérale de Lausanne (EPFL). My research interests are in the area of computer architecture, with emphasis on the design of server systems. I work on the entire computing stack, from server software and operating systems, to networks and processor microarchitecture. 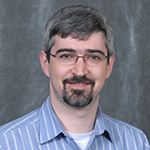 My current research projects include FPGA accelerator integration into server environments (e.g., Intel HARP, Microsoft Catapult, and Amazon F1), FPGA programmability (e.g., virtual memory and high-level synthesis), accelerators for machine learning (e.g., convolutional neural networks), efficient network processing and software-defined networking, speculative performance and energy-enhancing techniques for high-performance processors, and programming models and mechanisms for emerging memory technologies (e.g., HBM and 3D XPoint). If you are a PhD student at Stony Brook and want to work with me, please send me email to arrange an appointment. Computer architecture, with particular emphasis on the design of efficient server systems. Most recently, my main focus has been on Machine Learning Accelerators, developing hardware techniques to enable fast and efficient implementations of deep learning, and making FPGA-based accelerators more practical and easier to program. More broadly, my work seeks to understand the fundamental properties and interactions of application software, operating systems, networks, processor microarchitecture, and datacenter dynamics, to enable software and hardware co-design of high-performance, power-efficient, and compact servers. Best Paper Award at the 11th International Conference on Virtual Execution Environment (VEE) for "A Comprehensive Implementation and Evaluation of Direct Interrupt Delivery." IEEE Micro Top Picks from Computer Architecture Conferences of 2013, "A Case for Specialized Processors for Scale-Out Workloads." Best Paper Award at the 17th International Conference on Architectural Support for Programming Languages and Operating Systems (ASPLOS) for "Clearing the Clouds: A Study of Emerging Scale-out Workloads on Modern Hardware." Best Paper Finalist at the 17th International Symposium on High-Performance Computer Architecture (HPCA) for "Cuckoo Directory: A Scalable Directory for Many-Core Systems." Paper Award from the European Network of Excellence on High Performance and Embedded Architecture and Compilation (HiPEAC) for "Cuckoo Directory: A Scalable Directory for Many-Core Systems." IEEE Micro Top Picks from Computer Architecture Conferences of 2009, "R-NUCA: Data Placement in Distributed Shared Caches." IEEE Micro Top Picks from Computer Architecture Conferences of 2009, "Practical Off-chip Meta-data for Temporal Memory Streaming." 2005 DARPA Grand Challenge driverless desert race, 2nd and 3d place autonomous vehicles for RedTeam. System and Method for Fused Computation of Convolutional Neural Network Layers. Co-developer of CloudSuite, a benchmark suite for scale-out workloads. Co-developer of FLEXUS, a scalable, full-system, cycle-accurate multi-processor and multi-core simulation framework between 2005 and 2012. 2010 IEEE International Symposium on Workload Characterization (IISWC). Atlanta, GA, December 2010 with Eric Chung, Pejman Lotfi-Kamran, and Michael Papamichael. 42st Annual IEEE/ACM International Symposium on Microarchitecture (MICRO). New York, NY, December 2009 with Eric Chung and Michael Papamichael. 17th International Conference on Parallel Architectures and Compilation Techniques (PACT), Toronto, Canada, October 2008 with Eric Chung and Nikos Hardavellas. Organizer of the Fall 2009 weekly seminar of the Systems Labs at Ecole Polytechnique Fédérale de Lausanne. Organizer of the Fall 2007 weekly seminar of the Computer Architecture Lab at Carnegie Mellon (CALCM). Senior Member: IEEE, Member: ACM SIGARCH, ACM SIGMICRO, ACM SIGOPS, HiPEAC Associate. These days, it seems like everyone's favorite hobby is to travel. Below is a map that shows the countries I visited. If you need to speak with me, please feel free to drop by my office at any time. However, to ensure that I will be there and not busy, it's always best to send an email ahead of your visit. If you prefer to explicitly schedule an appointment, please send me email. You can check my general availability by consulting my calendar. Apr 22, 2019: Mike has been elevated to the grade of IEEE Senior member. Apr 19, 2019: Amogh's paper profiling the instruction usage of Linux packages will appear at SYSTOR'19. March 26, 2019: Our paper on SIMT Massively Parallel Server Processors will appear in CAL. January 15, 2019: We're organizing the third Data Prefetching Championship that will be held in conjunction with ISCA'19. Please submit your prefetchers! December 26, 2018: Our collaboration with the bio and algorithms folks on An Efficient, Scalable and Exact Representation of High-Dimensional Color Information Enabled via de Bruijn Graph Search will appear at RECOMB'19. August 22, 2018: The NSF funds our collaboration on systems for storing and searching bioinformatics data.